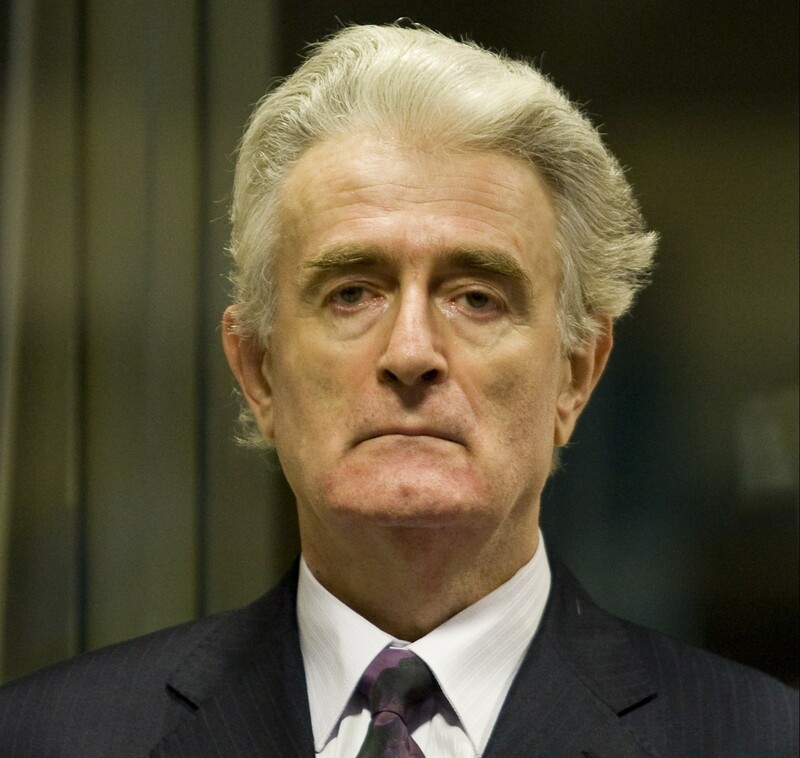 Former Bosnian Serb leader Radovan Karadzic was yesterday convicted of war crimes and genocide during the 1992-95 Balkans war by judges at a specially convened UN Tribunal in The Hague. The 70 year old is to date the most senior figure to have been put on trial over the five year conflict, during which over 100,000 Bosnian Muslims and Croats died during the five year conflict, including 7,500 Muslim men and boys during the July 1995 massacre at Srebrenica, which the UN condemned as part of a campaign to ‘terrorise and demoralise the Bosnian Muslim and Bosnian Croat population’. One of Europe’s most wanted fugitives for years, he evaded capture for 13 years, eventually being found in Belgrade where he was disguised as a New Age healer. Karadzic was found guilty of ten of the eleven charges brought against him, which included one count of genocide and a number of counts of crimes against humanity including persecution, deportation, murder, extermination and inhumane acts. He was also found guilty of four of counts of ‘violations of the laws or customs of war’, which included murder, terror and unlawful attacks on civilians within Sarajevo and the taking hostage of UN peacekeepers. However, he was also declared not guilty of one further count of genocide, relating to events during the conflict in the regions of Bratunac, Foca, Klyuc, Prijedor, Sanski Most, Vlasenica and Zvornik. Karadzic defended himself throughout the five year long tribunal, insisting in his closing remarks that there was not a shred of evidence against him. He did, however, admit ‘moral responsibility’ for some of the actions of the Bosnian Serbs in his role as their political leader. 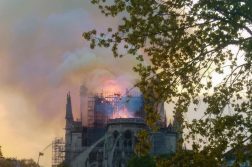 The trial was followed by a further eighteen months of deliberations among the judges. Karadzic insisted there was not a shred of evidence against him. The resulting verdict was a sentence of 40 years in prison, although it is unlikely that he will serve all of this as the time that he has already spent in detention will count towards his sentence, and his lawyer has already reportedly suggested that he will appeal against the ruling. His judgment is symbolically powerful – above all for the victims of the crimes committed during the wars in Bosnia-Herzegovina and across the former Yugoslavia, but also for victims across the world. No matter how powerful they are, no matter how untouchable they imagine themselves to be, no matter what continent they inhabit, the perpetrators of such crimes must know that they will not escape justice. It is time now to ensure that his poisonous legacy does not continue to burden the people of the former Yugoslavia with deeply-felt grievances, secrecy and lies. Despite the huge symbolic significance of the Karadzic trial, it is unlikely that he will be the last person to be tried over their actions during the Balkans conflict. 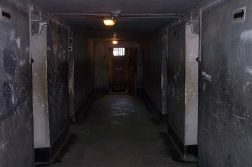 Former general Ratko Mladic, who commanded Bosnian Serb forces during the conflict, is currently also awaiting his sentence, and Serbia arrested and charged a further eight people over their connection to the Srebrenica Massacre in September last year. According to Zeid, the Karadzic trial should serve as a warning to those across Europe who ‘seek to exploit nationalist sentiments and scapegoat minorities for broader social ills‘ against the bloodshed that can result from such actions. Those most affected by the result of the trial, however, will be the families affected by the events of the 1992-95 conflict, who today expressed their disappointment at the length of time it has taken to reach a verdict. One widow, who lost her husband during the Srebrenica massacre, told Reuters that the trial ‘came too late’ and that ‘no sentence could compensate for the horrors we went through’ .